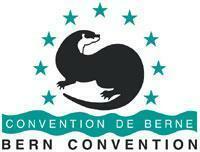 1 December 2012: For the 24th consecutive year, MEDASSET attended the Standing Committee Meeting of the Contracting Parties to the Convention on the Conservation of European Wildlife and Natural Habitats (the “Bern Convention”) at the Council of Europe in Strasbourg, France on 27 – 30 November 2012. We presented a slideshow that illustrated the current situation on the nesting beaches of Fethiye’s Specially Protected Area (Turkey). Several of the conservation measures implemented in 2011 were not sustained in 2012, despite commitments made by the Turkish authorities in 2010. In addition, the construction of a new beachfront hotel destroyed the last remaining section of a wetland. Following our presentation, the delegate of Turkey accepted that the images made him “uncomfortable” and said that the authorities would monitor the situation more closely. The Convention’s Secretariat stated that it would be in contact with the Turkish government to monitor this case. Fethiye is one of the 12 most important loggerhead nesting beaches in Turkey. Threats to the nesting population have continuously been increasing, resulting in serious nesting decline. Learn more about this campaign here. We also updated the Standing Committee on the ongoing problems at Kyparissia Bay (Greece) by presenting a slideshow. In March 2011 the Greek government provided some encouraging assurances, but the situation on the nesting beaches remained unchanged and conservation law has yet to be drafted. The European Commission sent Greece a Reasoned Opinion in September 2012, which means the EC is just one step away from taking the country to the European Court of Justice (which will result in an substantial daily fine) over breach of its obligations to fully protect the endangered sea turtles in Kyparissia Bay! Southern Kyparissia Bay supports the second largest nesting population of loggerhead turtles in the Mediterranean after Zakynthos island, and is protected under the European Union (EU) Natura 2000 network. Learn more about this campaign here. The Convention’s Secretariat stated that Kyparissia’s condition and management were cause for serious concern, and that it would therefore seek updates and reports from the Greek authorities, NGOs and the EU. Egypt’s Bardawil Lake: safe haven or deadly trap for sea turtles in the Mediterranean?